Our Commonwealth is facing an issue that holds significant moral implications for all citizens. At this time there are two bills (HB 3320 and SB 1209) proposed in the Massachusetts legislature which have extreme consequences for the protection of life. These bills have been described as a means of protecting the provisions of the Supreme Court’s 1973 decision in Roe v. Wade, but they go far beyond that decision and take us in dangerous directions. The bills are threatening to human life and dignity and should, in my judgement, be opposed even by those who support the Roe v. Wade decision. The citizens of Massachusetts and their elected officials represent many faiths and also a secular position that does not embrace any particular religious tradition. I do not address the proposed legislation from a religious perspective but as an issue of human rights, in this case the right to life, as I also speak to other human rights issues such as welcoming immigrants to our country, supporting a strong social safety net for the poor and the call for racial justice. I do not seek to impose the Catholic Church’s teachings on a diverse society but wish to help build a society which protects human life from its inception to natural death. Allow abortion in Massachusetts during all nine months of pregnancy. Eliminate any requirement that even late-term abortions be performed in hospitals. Eliminate the requirement to make efforts to care for a child who survives an attempted abortion. Eliminate any requirement that a pregnant minor (under 18) have any adult consent (parental or through the courts) before undergoing an abortion. Collectively these changes have radical consequences for society. In the proposed legislation abortion is described as “any medical treatment intended to induce termination of a clinically diagnosable pregnancy except for the purpose of producing a live birth”. There are many clinical procedures which can satisfactorily be described in purely medical terms. Abortion is not one of them. While the procedure has significant clinical dimensions, there is also a human reality that deserves more adequate recognition at any stage of development. By depersonalizing the reality, the legislation dehumanizes the decision faced by women, their families and physicians. Prior to and following the 1973 Roe v. Wade decision the Church has tried to provide care, compassion and assistance to women in crisis pregnancies. The Archdiocese of Boston today sponsors Pregnancy Help to provide spiritual and material assistance to women facing difficult choices about abortion. We also sponsor Project Rachel, a retreat program for women seeking counsel and healing after abortion. We do not seek to judge or blame individuals, particularly women and families faced with excruciatingly difficult pregnancies. Our objective is to consider the implications of the proposed legislation, which among its provisions removes any limits to abortion in the third trimester of pregnancy. The legislation is being advocated on the basis of complex and emotionally wrenching medical cases, but the implications of these laws without limits can lead far beyond the hard cases. The proposed legislation (HB 3320 and SB 1209) presents all citizens of the Commonwealth with a serious moral question concerning the protection of human life. Legislators, I hope, will not presume that broad support in Massachusetts for legal abortion automatically translates into willingness on the part of the public to embrace the extreme provisions of these bills. These realities deserve our serious consideration with the highest convictions of what is right and our full compassion. And the unborn children who will be most directly impacted by the proposals deserve to have their lives protected. This week, Cardinal Seán released a Lenten Letter to the Catholic community in the Archdiocese of Boston. The letter offers a reflection on the just completed Rome Summit to Protect Children and Minors, and includes an action the Archdiocese is implementing regarding reporting misconduct related to bishops. 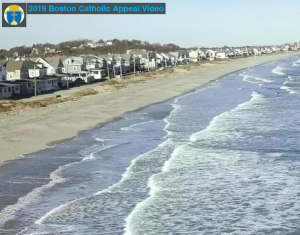 Please click here to watch this video to see the impact of your gift to the 2019 Catholic Appeal. Click here to read an important letter from the Bishops of Massachusetts to the Catholics of the Commonwealth. “Today, we stand in solidarity with our Jewish brothers and sisters who are experiencing the bitter pain of suffering and loss inflicted on them by a senseless shooting in their holy place of worship at the Tree of Life Synagogue in Pittsburgh. On this Sabbath day, a day that is sacred to the Jewish people, we embrace them in their anguish. I join my own prayers with many throughout the Archdiocese of Boston who offer consolation and support to the loved ones of those who have been killed and wounded, and we ask God to bring comfort in this hour of need. We are especially mindful of the first responders who bravely ran towards danger in order to defend others. I have spent many joyful times with our Jewish friends in my more than forty years as a priest. Our two faiths – Catholic and Jewish – are committed to building a civilization of love to combat the hatred, violence and anti-Semitism in our world. Today’s tragedy will not defeat us in pursuing this commitment, it will not defeat people of good will and it will not defeat the Jewish people. A message from Cardinal Seán P. O’Malley, OFM. Cap. Archbishop of Boston from Archdiocese of Boston on Vimeo. “There are times when words fail us – when they do not capture the depth of overwhelming situations we sometimes face in life. For the Church in the United States this is one of those times. The Pennsylvania Grand Jury’s report and the first-hand expressions of horror and devastating pain experienced by survivors once again wrench our hearts with the unimaginable that tragically is all too real for those who carry this pain. Once again we hear each excruciating word they share. We remain shamed by these egregious failures to protect children and those who are vulnerable and affirm our commitment that these failures will never be repeated. While many perpetrators have been held accountable in one way or another for their crimes, we have yet to establish clear and transparent systems of accountability and consequence for Church leadership whose failures have allowed these crimes to occur. The Church must embrace spiritual conversion and demand legal transparency and pastoral accountability for all who carry out its mission. This transformation is not easily achieved, but in all aspects it is imperative. The way we prepare priests, the way we exercise pastoral leadership and the way we cooperate with civil authorities; all these have to be consistently better than has been the case. As I have stated previously, there are immediate actions that we can and must take. The clock is ticking for all of us in Church leadership, Catholics have lost patience with us and civil society has lost confidence in us. But I am not without hope and do not succumb to despondent acceptance that our failures cannot be corrected. As the Church we have the responsibility to help people not to lose hope, that was Jesus’ message to all those he ministered to, especially in times of great trial. There is too much good in the Church and in our faith to lose hope. Often it is survivors who courageously teach us we cannot lose hope. Although “zero tolerance” of sexual abuse has been declared and pursued and programs of advocacy and protection of children have been adopted in dioceses throughout country, the memory, the record, the burden carried by survivors and every other fact of sexual abuse stay with the Church. We can never become complacent, this is a life-long ongoing work that demands the highest levels of our constant awareness and attention. To survivors in the Archdiocese of Boston who struggle to process their pain and whose wounds are opened especially wide with the reports from Pennsylvania, please know that Vivian Soper, Director of the Archdiocese’s Office of Pastoral Support and Child Protection and her colleagues stand ready to provide assistance. We encourage you to contact Vivian at 617-746-5985. To the survivors and their loved ones, we must again apologize and ask forgiveness. While much has been accomplished in the protection of children with the participation of the laity, there remains much more to be done. We are committed to the fulfillment of this responsibility as a continuing priority for the work of the Church. St. John’s financial goal for the Appeal this year is $111,782. Prior to this year our rebate was tied to a financial goal. The rebate earned by our parish from last year’s Catholic Appeal was $17,500. The Archdiocese of Boston has announced new procedures for this year’s appeal. 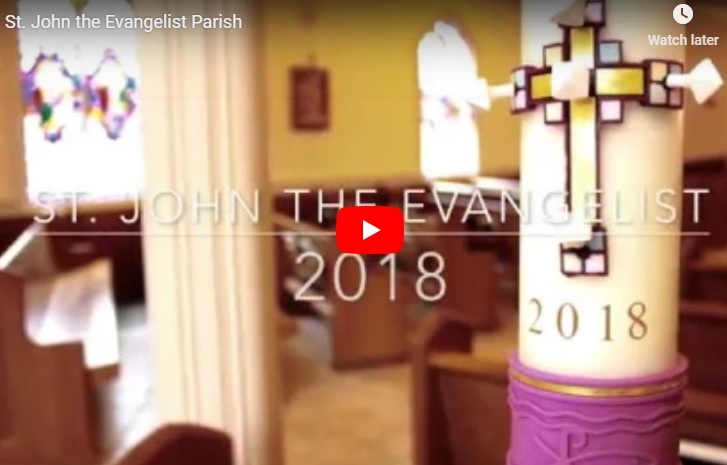 This year there has been a change in procedures, and we now must reach an in-pew envelope goal (in additional to our financial goal) in order to be eligible to earn any rebates back to the parish. Our new in-pew envelope goal here at St. John is 95 envelopes. This goal is based solely on the number of envelopes completed, so this year we are asking that every family complete and return one of the envelopes, to ensure that we reach the goal number. The envelopes will be available in the pews and in the church lobby over the next several weekends. We thank you for your patience and understanding as we launch this year’s Catholic Appeal with the new guidelines and procedures. Your generosity to the Catholic Appeal is most greatly appreciated. Thank you! 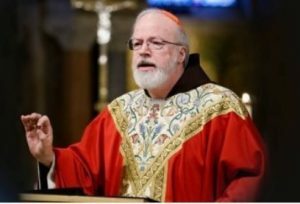 Cardinal Sean O’Malley’s recent statement regarding the ongoing immigration debate, “A call for civility”, can be found on Cardinal Sean’s Blog. Please see the Parish Calendar for more programs and events. For the St. John Religious Education (Grades 1-8) calendars, please visit the Religious Education page. For the Collaborative Confirmation and Youth Ministry calendars, please visit the Our Collaborative Confirmation and Youth Ministry Google Calendar page.